The captivating and intricate design of this Tekke Bukhara Runner is inspired by the culture of Afghanistan and mix with Indian craftsmanship. It contains Bukhara design pattern which has been originated in 17th century. 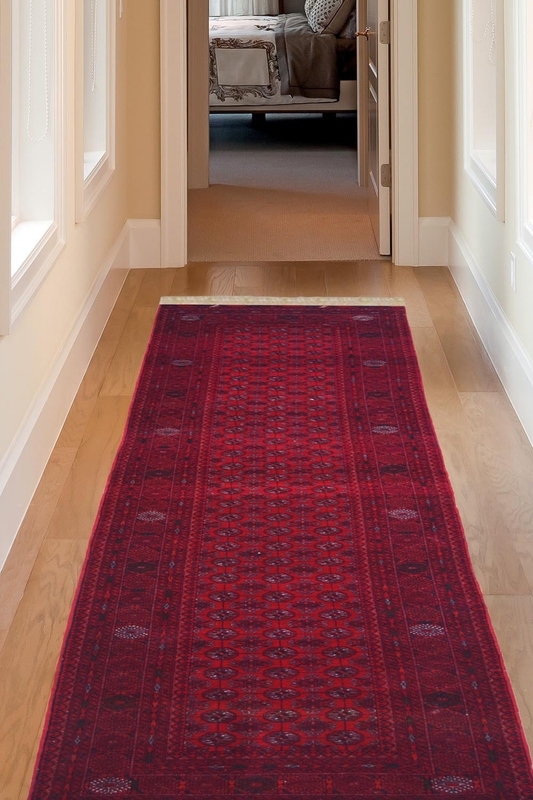 This Runner is handwoven in a pure afghan style which represents the art of Turkish. This is flat-woven in the finest quality of wool. For providing strength to this carpet, weavers used cotton as the warp of this carpet. It contains Bokhara design. It has an intricate design pattern.